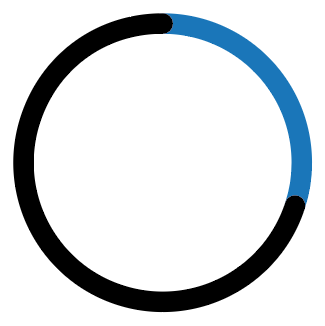 As you can see, it seems as if the ends were somehow connected, so in the black circle, there is an annoying effect I wish I could remove. Why is this happening? What did I do wrong? 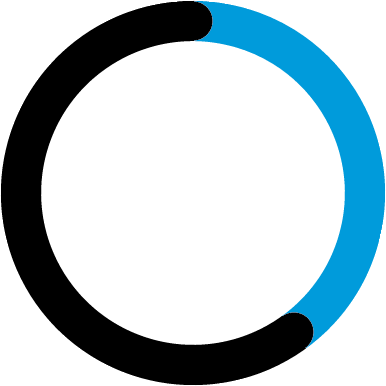 Create a circle with a stroke. Copy and Paste in front. 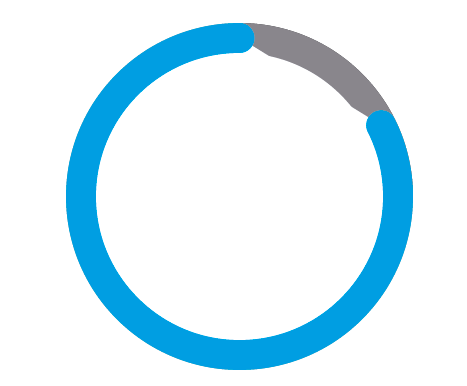 Select the top circle, select the Scissors Tool (C). Click on the path where you want the end points of the line. Based on your example I first clicked at the top and then the bottom right. Delete this area. Select the stroke, open your strokes panel (Window -> Stroke) and select the round cap icon. Then select the bottom circle and color it a different color. Select Pie Graph Tool (J), press anywhere on artboard, enter size. Select graph, remove fill and set stroke to desired size. Select the Scissors Tool (C) and click the anchor points of where the data points meet. Then delete those points. Do this again for the other side of the circle. Use the Direct Select Tool to select one of the stroke and change its color. Select all of the points and change them to round caps. 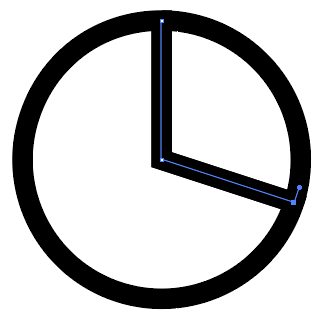 Then go to Object -> Flatten Transparency and hit OK. Move the bottom stroke (mine was black) to the top. Not the answer you're looking for? Browse other questions tagged adobe-illustrator chart-design or ask your own question. 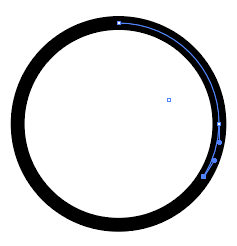 Illustrator: Divide tool - Cutting shapes?